This is arguably one of the hardest wines in the world to make, as well as one of the most labor intensive and expensive to produce. It is a gamble from the beginning to the end—requiring perfect weather conditions that allow the Noble ROT to occur in the vineyard—to very experienced winemaking to craft the finished product. We have only made this wine in 2006, 2008, 2010 and 2014. Our Noble ROT is made on the model of Château d’Yquem. These are unbelievably sweet and unctuous wines that push all the buttons on anyone’s palate. We are brazen enough to say that our Noble ROT can share the d’Yquem stage in every way. It is made in the vineyard. The varietals are Semillon and Sauvignon Blanc, all hand-picked, barrel-fermented, and then aged in small barrel. We were only able to make two barrels in 2014. So what is Noble ROT? It is the perfect attack on wine grapes by the benevolent “botrytis cinerea.” If the weather is not perfect, this botrytis turns less than perfect, and is impossible to harvest the grapes. It is not uncommon for a whole year’s crop to be left hanging—if the weather does not encourage good botrytis. If perfect, the grapes have to be picked by hand, often grape by grape to reach the high levels of sugar—for us in 2014, 32.5 brix. … These are unbelievably sweet and unctuous wines that push all the buttons on anyone’s palate. Botrytis spores are in many vineyards as part of the micro flora, always present. But can prey on ripe grapes when the weather turns humid and warm near harvest. Grapes in a cluster then can be punctured by hundreds of botrytis spores, which can lead to severe water loss, dehydration, and sugar concentration. Acids along with sugars are metabolized, glycerol magnified, flavors intensified in combinations not possible without botrytis. In the end the cluster looks like soft raisin covered with a brown fuzzy blanket—requiring the vintner to often pick berry by berry to select the right grapes. 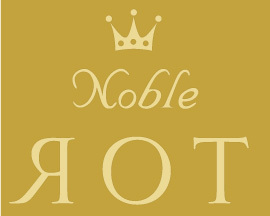 Noble ROT—French translation “pourriture noble”. ROT is TOR spelled backwards, or read in a mirror, or through a beautiful bottle of luscious, sweet nectar. It is magic in a bottle.